48 titles, totaling more than 58 printed pages, including 5 monographs. Two publications published abroad. Development of business in Kyrgyz Republic // Collection of articles of International Conference dedicated to 25th anniversary of IAB. Almaty, IAB. 2013. P. 219-223. 0.3 pp. Industrial and innovative development of agriculture of Republic of Kazakhstan // Materials anniversary conference dedicated to 65th anniversary of Professor Sarybaeva A.S. Bishkek, IEiF at KNU after J.Balasagyn. 2013. P. 293-299. 0.4 pp. Pricing of innovative products // Materials anniversary conference dedicated to 60th anniversary of IeiF. Bishkek, IEiF at KNU after J.Balasagyn. 2014. P. 196-200. 0.4 pp. Inter-republican solidarity educational model of university // Materials anniversary conference dedicated to 60th anniversary of IeiF. Bishkek, IEiF at KNU after J.Balasagyn. 2014. P. 492-498. 0.5 pp. Single issues of innovative logistics // Materials anniversary conference dedicated to 60th anniversary of IeiF. Bishkek, IEiF at KNU after J.Balasagyn. 2014. P. 556-559. 0.4 pp. Some of development of leasing services in conditions of industrial-innovative development of Kazakhstan // Proceedings PBMCs «Innovative Development of Kazakhstan's financial sector in accordance with Strategy-2050: sostoyanii, trends and prospects» dedicated to 70th anniversary of academician Tinasilova M.D. Almaty, KazNTU after K.Satpaev. 2014. 0.4 pp. 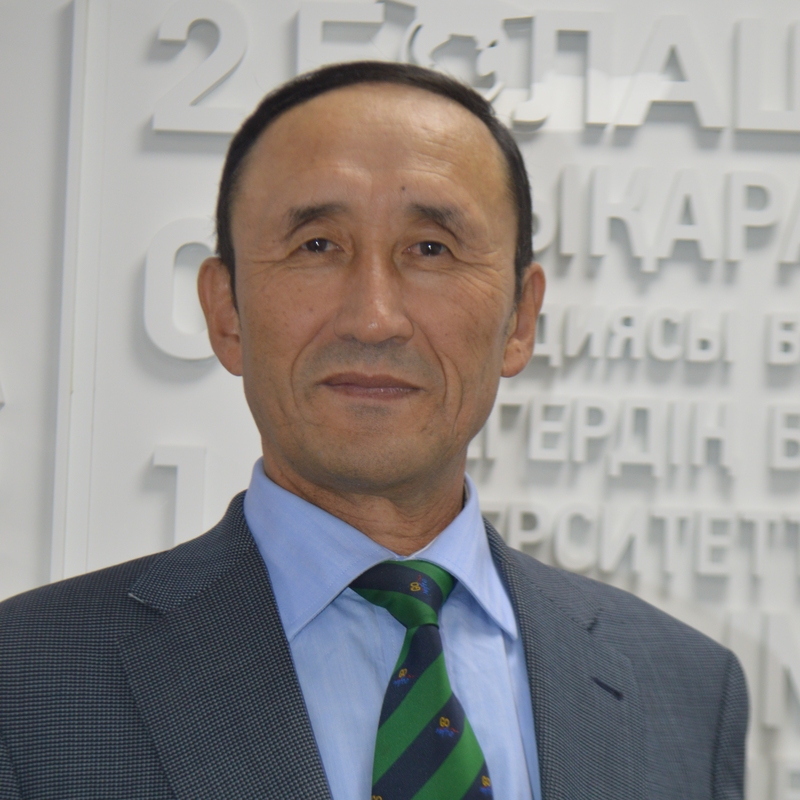 Prospects for Kyrgyz Republic to Customs Union // Proceedings of international scientific-practical conference «Great Silk Road and Eurasian area Economic». Bishkek, IEiF at KNU after J.Balasagyn. 2015. P. 171-176. 0.5 pp. Use of information technology in management decisions // Proceedings of international scientific-practical conference «Great Silk Road and Eurasian area Economic». Bishkek, IEiF at KNU after J.Balasagyn. 2015. P. 93-97. 0.4 pp. Evolution of theoretical approach to concept of procurement logistics // Proceedings of 3rd Inter-University Conference of Students and Young Scientists «Innovative technologies and innovative solutions». International University of innovative technologies. 2015. P. 429-432. 0.3 pp. Prospects of Kyrgyz Republic in Euro-Asian Economic Union // Proceedings of international scientific-practical conference «Strategy for sustainable development of regional economy in conditions of globalization». Bishkek, KEU after M.Ryskulbekov. 2015. 0.4 pp.